Setting up a successful AdWords campaign can be quite complex considering various factors involved in it. With a number of features and aspects to take into account, it should be better left to professional white label PPC service agency, who are proficient and have extensive experience in this field. 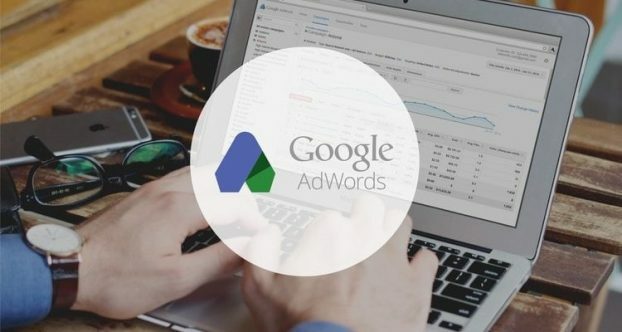 The experts would not only create a compelling Ad copy and set up your AdWords account but also launch it, track its performance, improvise upon them and ensure that you get the best results. Proper selection of keywords is one of the most important requirements for an ad copy. You should ensure that the keywords are unique in syntax and match type. The combination of short and long tail keywords as well as including negative keywords in an ad copy will work wonders and attract qualified traffic. Hence, it is important to select the right kind of keywords in your paid search campaign. You should make sure that the landing pages are working and the URL or links that you use in the ad copy sends your prospects to the right page. A landing page is one that an online visitor is directed to when he or she clicks on the given URL or the link. When a user types in a search term or a related keyword then the search engines opens up many new links. You need to check that your ad copy consists of that keyword that increases the CTR. Selecting and adjusting the bidding amount of CPC is essential to get the profitable returns. You should define the cost-per-click on keywords and keep it low that would not burn a fat hole in your pocket. It is best to allocate a specific budget limit for your PPC campaign that will guide you about your expenses on it daily. If you want your PPC campaign to get maximum number of qualified leads that would enhance sales then you should target your clients as per the size and scope of your business. If you are the manager of a local online inventory then you should specify location. You can also set your specific preference for language target and select the frequency of ad highlights through the proper setting. You can select the frequency of your ads display that will determine how often your ad is shown to your target customers and how quickly your budget is used. If your budget is limited then you can select the standard delivery method that is the default in Adwords. This ensures that your budget is spent evenly over time. You can select accelerated Ad delivery that will display your ads more frequently and use your budget at a quicker pace than the standard one. You can ensure that your ads are highlighted only on the mobile devices if you have launched an app that users need to download on their mobiles. You can outsource Google adwords services from a certified agency who will help you cut down expenses on your PPC campaign and get you the maximum ROI on your paid search campaign. The number of conversions determines the success of your PPC campaign. Your clients who have actually made the purchase, downloaded the PDF, called your expert or signed up the email, make true conversions. Conversion tracking facilitate you to get the real number of the conversions and will give you new insights into the performance of your paid search campaign. Creating an ad copy and launching a successful PPC campaign that enables businesses to enhance their brand promotion and increase sales, involves a large number of factors. It is better to avail services from certified PPC experts who have extensive experience in this field in order to get the maximum value for every penny spent in paid search campaign. Previous story What Are The Major Risks That Cause Dampness At Any Place?